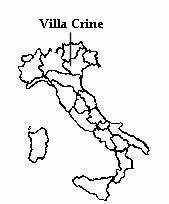 The history of Ville Crine goes back to the 1700s when the ancestral house was built, nestled in the foothills of the Italian alps. For generations the family passed on, from father to son the art of making and tasting wine, an art that has been refined by today's owner Battista Venturini. 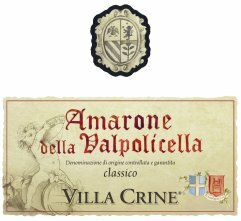 The hilly area with its many micro climates is especially suited for making an excellent Valpolicella of which both Battista and his wife Mara are exceptionally proud. Tasting Notes: Beautiful garnet red with ruby reﬂections, notes of cassis and chocolate on the nose, full bodied and sensual in the mouth; the soft tannins provide a delicious lingering ﬁnish. Soil: Clay, allu vial gravel, and tufa, with marine sediments. Altitude 200-300 meters. Vinification Technique: The grapes are picked by hand and aged for four months on reed mats or wooden racks. In early February the semi-dried must is fermented in stainless steel tanks. The wine then spends 3 years in large oak casks, plus a further year in bottle. 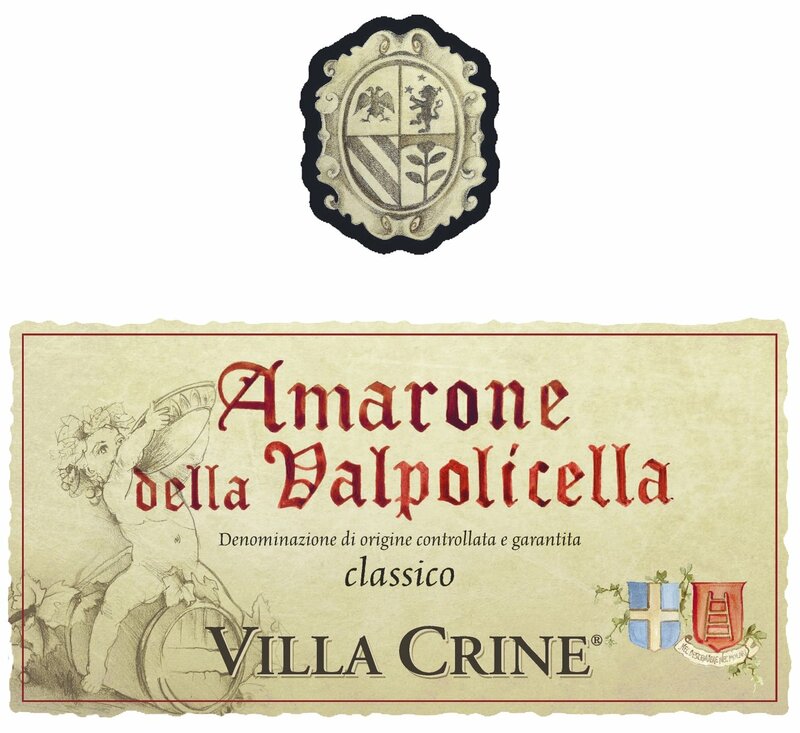 Maturation: Matured in bottles in ancient volcanic-rock (tufa) cellars for 3 years.